Large number of cancer associated cells and subpopulations. Validated in-vitro tumor cell models derived from patient samples or IMODI PDX models are an essential material for efficient cell based assays. Purified models and subpopulations available. Biologically relevant substitutes to predict drug response. Effective technologies for drug discovery and high throughput screening. Provide knowledge on biological targets and pathways. Patient Derived Cell Model molecular characterisation available on in-vitro models or the associated PDX model. Traceability and associated clinical data available for each in-vitro models. Availability of data relative to sensitivity to reference drugs based on PDX models. Choosing the right cell based assay is essential and will influence both the assay performance and the following steps of compound development. 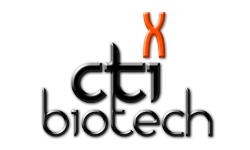 The CTIBiotech team is specialised in innovative cell based assay and tissue engineering. From primary tissue to cell line, our team can provide a large range of normal or pathologic Human cells to develop innovative models associating multiple cell types. CTIBiotech can provide purified populations of effector cells for immune-oncology in-vitro cell based assays. We are able to develop new cell models from primary or PDX models based on your need.